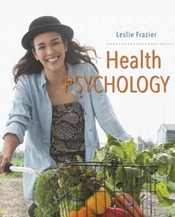 Health Psychology provides a science and empirically-based approach to health psychology. It goes beyond other mainstream textbooks by introducing students to global and cross-cultural health issues, covering cutting-edge scientific and medical topics in ways that students can understand. The author integrates core theory, research, and practice in an engaging and practical way. The author integrates the biopsychosocial perspective, building on traditional content and topics in order to aid student understanding, interest, and learning. This textbook incorporates engaging applications, case studies and frequent examples, clear and thorough explanations, and a student-friendly tone. It insists on the implications of positive and negative health behaviors for a student’s life. The author also provides an emphasis on developmental influences on health. Within each chapter, thought-provoking issues drawn from the World Health Organization and other international health organizations highlight our current understanding of health and wellness. Chapters open with personal profiles, ending with how the chapter addresses the questions that these raise.